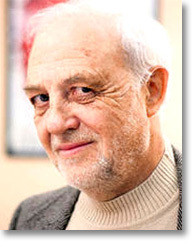 Aleksandar Petrov was born in Niš, Serbia, in 1938, and received his Ph.D. at the University of Zagreb. He writes in Serbian and Russian. He has published over 25 books, including poetry, fiction, criticism, literary theory and history. He has lectured at many universities in the USA and other countries and, since 1993, has been affiliated to the University of Pittsburgh. His books have appeared in former Yugoslavia, China, Hong Kong, Israel, Japan, Poland, Romania, Spain, Sweden, Taiwan, the UK, and the USA. His poems have been translated into 28 languages and included in anthologies of World, European, Yugoslav and Serbian poetry. Among Petrov’s most recent publications are three novels: Zlato u vatri [Like Gold in Fire] (1998), Turski Beč [Turkish Vienna] (2000) and Lavlja pećina [The Lion's Cave] (2004). In 2004 he received the Lucian Blaga Major Poetry Award in Romania, and in 2008 an award in Moscow as the best Russian-language poet writing in the Russian diaspora.